Homemaking is harder than you thought it’d be. It turns out that managing a busy, growing family is a lot of work. Tips and tricks might help for a time, but they don’t bring lasting change. In fact, they often make us feel worse because we assume the problem is with us. If you are discouraged, frustrated, burnt out, tired, desperate – you are not alone. And yes, there is a way out. We can build resilience, become competent, and regain sanity at home. We can climb out of our home chaos, out of our inner desperation, and out of our past failures. I know because I’ve done it – again and again. And so have many others, following my simple step-by-step, story-focused process. Working through Simplified Organization has been transformational for me. It really helped me connect the dots and brought such clarity. Working through this course has helped me identify problem areas and given me workable strategies to overcome them. I keep coming back again and again, and every time it is helpful. Too often, when we try to get organized, we get bad advice. We go whole-hog and burn out trying to be a new person. We focus on surface problems instead of our root issues. We spend more time fiddling with our planners than solving our problems. We freak out when our kids undo our work and mess up our plans. In my 17+ years of homemaking and 15+ years of mothering, I think I’ve read nearly all the homemaking and productivity books out there. They seemed like they should be helpful, but I still felt like I couldn’t get traction and that the smallest setback was a hurdle I couldn’t overcome. I felt like giving up. Baby #3, baby #4, baby #5 – each one sent me for a loop, undid progress I thought I had made, and showed me how little I had actually figured out. As I climbed out of the chaos of life change each time, I realized what was really important. Yes, the dishes and the laundry matter, but my attitude and motivation in it all mattered more. When we pursue homemaking and organization to glorify ourselves, we will end in frustration. But if we do it all for God’s glory and trust His providential care along the way, we can be organized. That is, we can calmly & cheerfully manage life at home. Join me on the journey of doing just that. Our biggest problem is not the clutter or the mess. Our biggest problem is that we focus on appearances and circumstances instead of faithfully fulfilling our calling. Being organized isn’t about looking put together. It is about handling life as it comes with calm, collected grace. that is not superficial or complicated. Organize your attitude: learn how to change your attitude and not be at the mercy of your emotions. Organize your actions: master the 6 actions every organized person needs. Organize your accessories: build your own personal, customized life management system, step-by-step. Learn to love what must be done. Simplified Organization will teach you how. 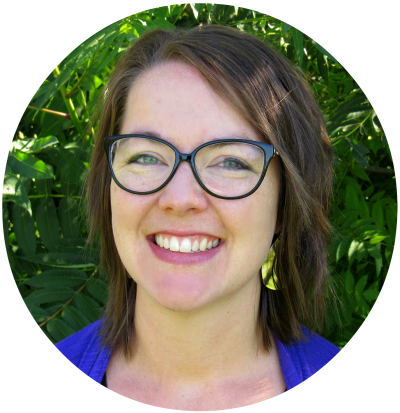 This self-paced course will walk you through the entire process, in manageable baby steps, from wrapping your head around your responsibilities to making flexible, adaptable plans, to having the right perspective in the midst of the mundane. Simplified Organization will inspire and motivate you. Along the way, you’ll be given the practical help you need to establish better habits and get your life and your home in order through prioritized, intentional action steps. we can do that better when we feel refreshed and capable. Simplified Organization will get you there. Is the content of this course Christian? Absolutely! The only basis for lasting, joy-filled change is to exchange selfishness and ambition for the glory of God and faithful obedience. Simplified Organization shows how Christian living, homemaking, and productivity is all part of a one piece life. Is this course for homeschoolers? 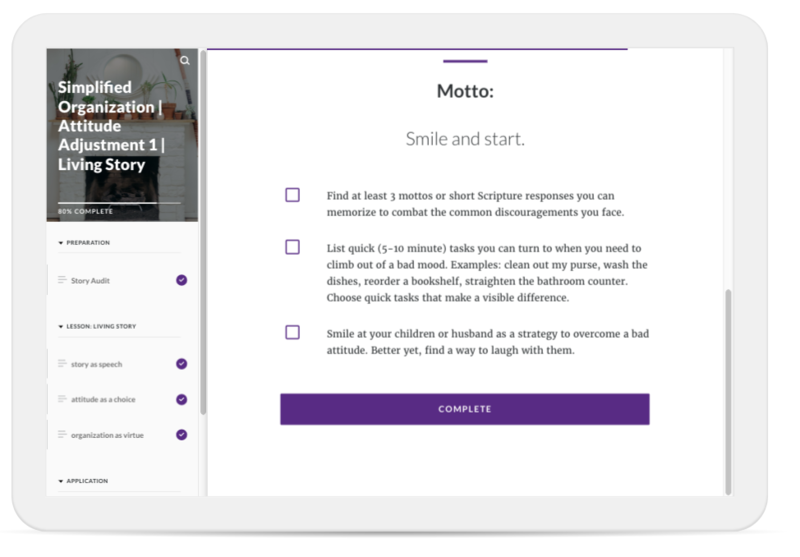 Although I homeschool, I specifically write my courses and everything at Simplified Organization to any mom who wants to be intentional in how she approaches life – regardless of the age of her kids or her choice for schooling. What we each have on our plate will be different, but how we go about managing the specific details and keeping a cheerful attitude while we do it is based on universal principles. Whether you have a full or part time job, homeschool, volunteer, are pregnant or nursing (an occupation in itself! ), care for special needs in your family, or whatever duties you have, the principles of how to handle it all remain the same. I write to any women who wants to honor God in how she handles life, who wants to do a better job, who wants to be able to serve in meaningful ways without stress and chaos at home. Is this course for moms only? Most of the women in the course are moms – whether their first child is still a baby or whether their youngest child has just left for college. Some don’t have any children at all. It is for women pouring their lives out for other people. That includes moms, but is not exclusively mothers. You might care for aging parents, you might be a missionary, you might work in a people-serving field. Simplified Organization will help you serve others better while minimizing the drained feeling that often comes from a long day spent with needy people – whoever those people might be. Your problem with consistency might be a problem with the plans you’ve tried in the past rather than with you. If you tried working someone else’s plan, all you learned is that you think and live differently. The principles and practices taught in Simplified Organization transcend personalities and situations; they can be fitted to you – you don’t have to change to fit them. Also, if working through the material is too much of a burden and you can’t make use of it, you can request a full refund within 60 days. All requests for refunds within 60 days will be honored, no questions asked. How long will it take to complete Simplified Organization? 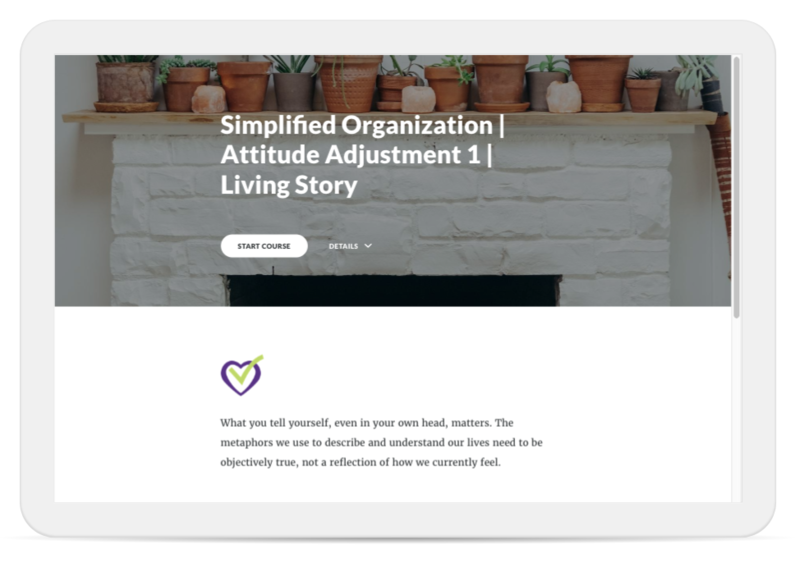 Simplified Organization is a self-paced course, so you can power through it in a week or two or take your time. 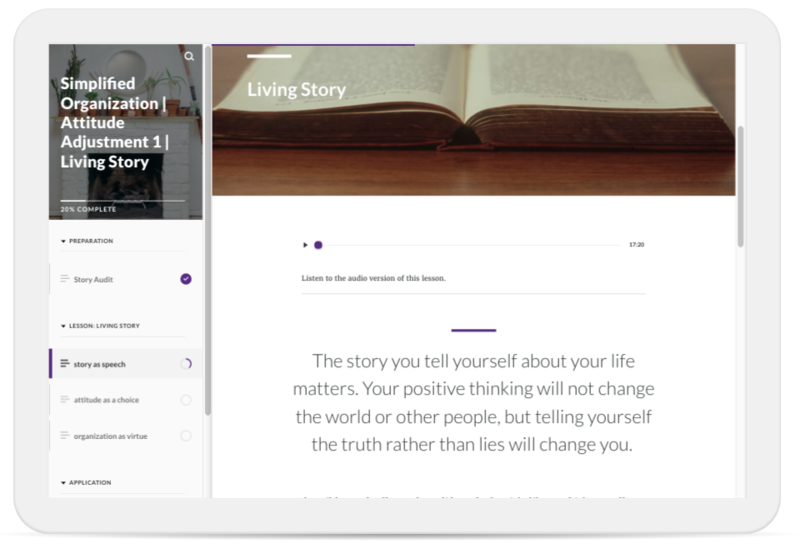 With 30 sections within the course, each addressing either your attitude, actions, or accessories, really working through the materials and applying them will take at least six weeks, but many members spend 6-12 months building the habits and systems into their lives. Some women work through the whole course quickly the first time around, then return to the beginning and slowly improve each piece of their new rhythms. If you are concerned about accountability, I highly recommend participating in one of the six-month community coaching programs, starting each January and July. Yes! If you can browse a blog, you can take this course. The material is not on some fancy learning software, but set up like a blog, except with super-clear navigation – navigation you can mark as complete as you move through so you never lose your place. It’s not complicated, and you can always contact me directly by email or in the forum if you encounter difficulties. My life is a mess and also about to change dramatically (new baby/move/illness/etc). Should I still take this course? I started outlining what became this course when I knew I had to climb out of baby blues and reclaim my home life and my happiness in my duties. More than setting up home management details, this course is about seeing your life for what it is: a life of service that glorifies God. That means faithfully fulfilling our duties, but it also means we must stop listening to our own internal discouragements and accusations. Simplified Organization will help you do both. 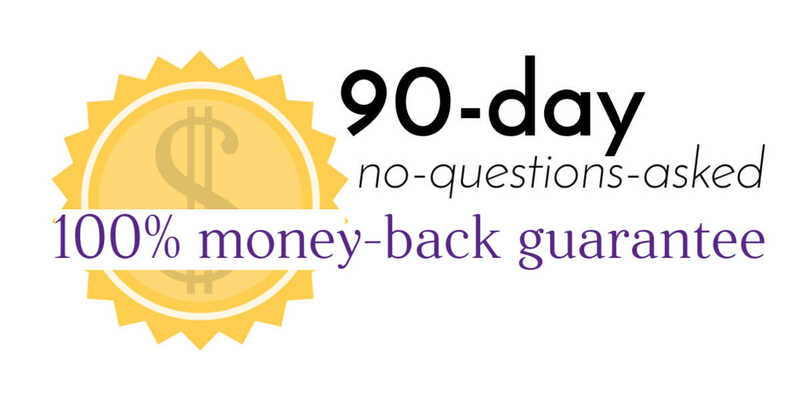 I have a 90-day money-back guarantee, so if you start into the course and it doesn’t resonate with you or you find out it wasn’t what you were expecting or wasn’t what you needed, I’ll refund your purchase within 36 hours. Just ask. learn why your attitude is the key to organization and productivity. practice tools to change your attitude. walk through the material at your own pace. get the information you need in manageable, bite-sized, easy-to-navigate chunks. set up the support tools and systems you need. build the habits necessary for organization to stick. Climb out of chaos and into contentment & competency.